Friends, today I’m sharing a story featuring a bathroom improvement Delta In2ition Showerhead, with H2Okinetic® Technology! 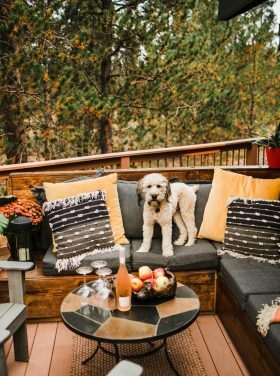 Many of you have followed along with our new mountain home fixer-upper! It’s been such a fun project, and we love our home! One thing I have never shown you is our bathrooms. 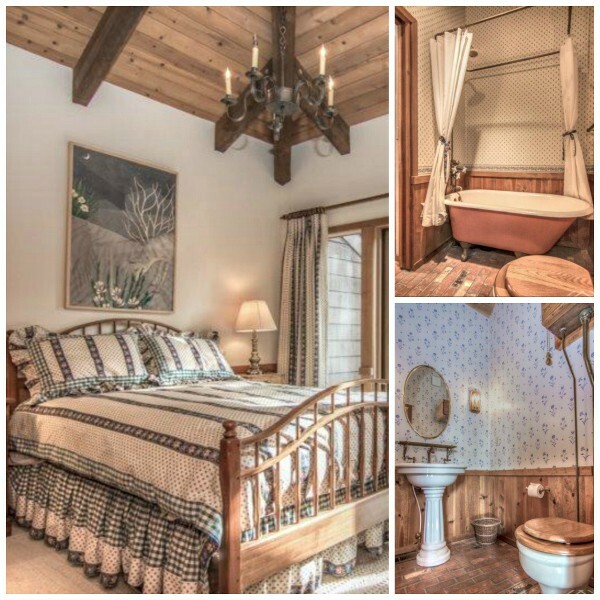 Let’s just say, they are a little outdated, with crazy cistern-style toilets and claw foot tub. Our plan down the road is to replace the toilets and put a new shower in, but for now, we are content, and enjoying sharing our home with others (even though it’s not perfect), shelving those projects for another day! When Delta asked me to participate in a simple shower swap, I was IN! 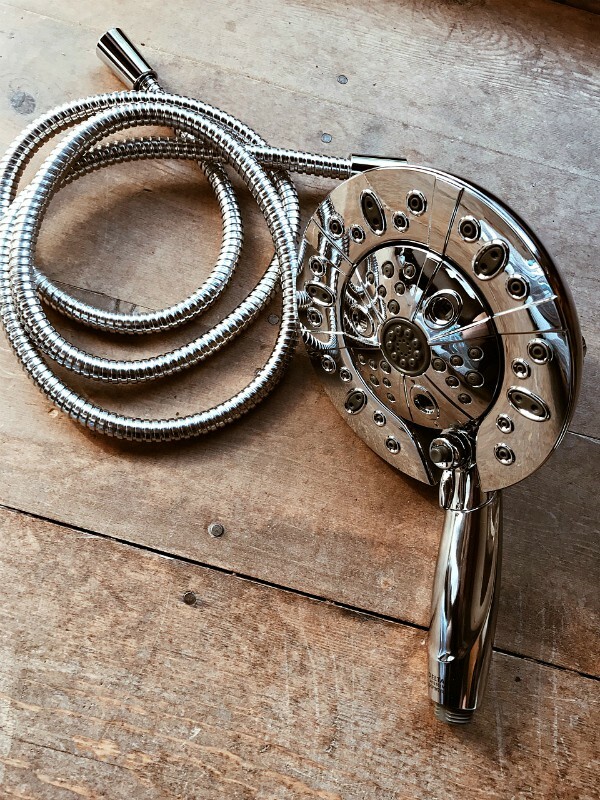 The Delta In2ition Showerhead features a showerhead and hand shower in one, offering the soothing comfort of the shower head, with the convenience of a handheld sprayer for ultimate flexibility. Delta In2tition showers with H2Okinetic® Technology have a detachable hand shower, which can run separately or simultaneously with the showerhead base, giving us both the comfort of water streaming from the showerhead position, and the flexibility to accomplish other tasks, such as bathing children, washing pets and cleaning the shower. Installation was incredibly easy and only took about two minutes, requiring just one tool, an adjustable wrench. 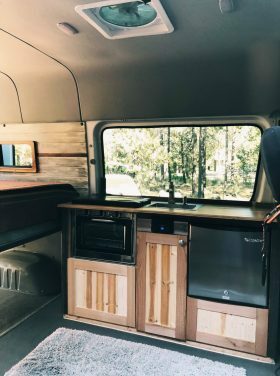 We were able to hook ours up without even looking at the instructions—that’s how easy it was to install! And the water savings are impressive as well. Somehow Delta has figured out how to provide great water pressure without draining our hot water heater. The Delta In2ition showerhead is supposed to give you a different shower experience while saving enough water to earn the Watersense label – using less than 2.0 gallons of water per minute (gpm:) Instead of using less water, it feels like I’m taking a shower with more water! 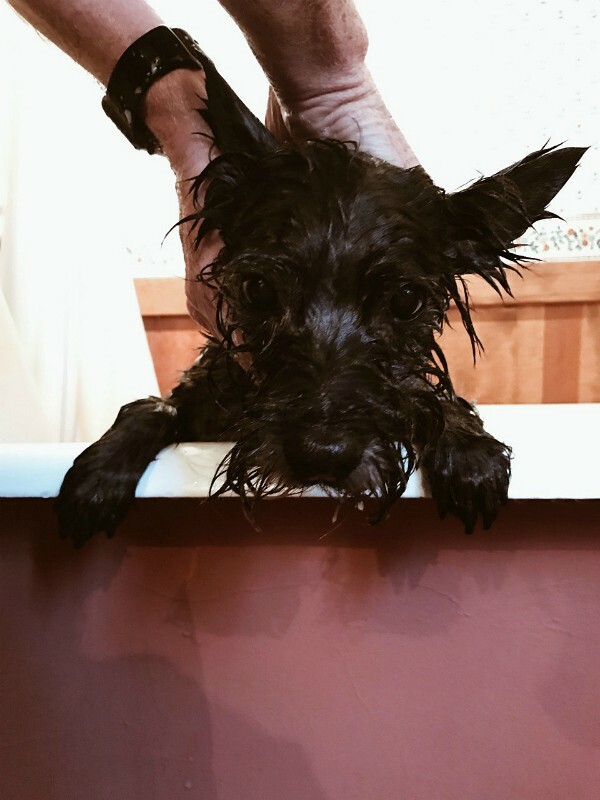 In addition to a great shower experience, we really appreciate how easy it is to bath Haggis (our Cairn Terrier) with the detachable showerhead. 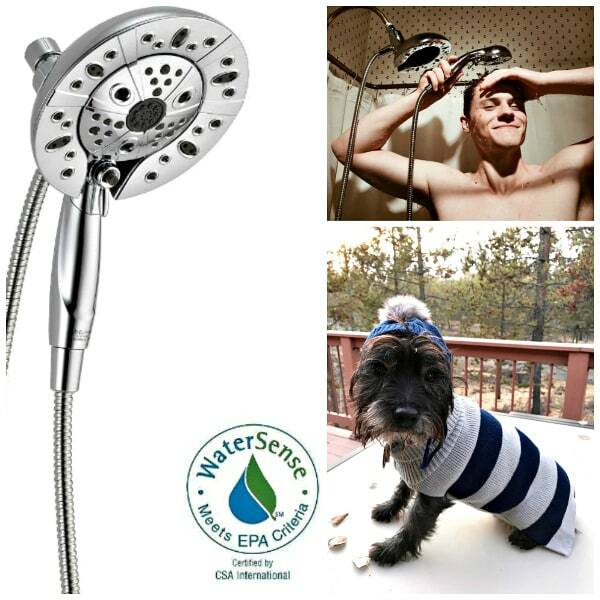 With the help of this new showerhead, we’re able to cut Haggis’ bath time in less than half! 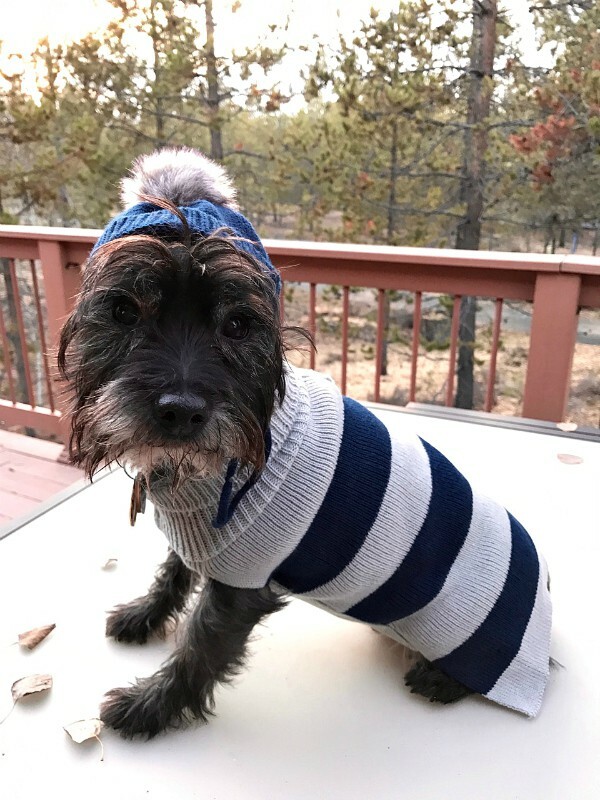 Oh, and here he is looking dapper in his new sweater, ready for the snow here in Bend! 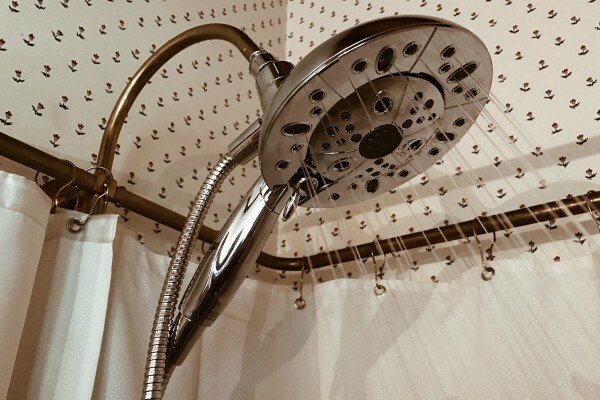 And, now when guests come (we plan to change out all the showerheads), we know they’ll have a great shower experience as well! Where can you buy this great showerhead? It is exclusive to the Home Depot and you can find it here. This post was brought to you by the Delta Faucet Company. I received free product from Delta Faucet to write this post, but all opinions expressed are my own. Great article., and I have this exact shower head in my bathroom. I install a lot of these as well for some of my clients. Great post. My sister has this shower head in her guest bathroom and it really is nice! You have a prize in the tub. Hopefully you will consider it without the shower attachment in your new bathroom. On my screen the sides appear a pinkish tone. It can changed with new a coating. Many possibilities for that remodel….should be fun. Really enjoying your new adventure. Nice. Nothing like a good showerhead, though I’m a bath person myself! Sandy my friend, I now work at a high- end tub and shower showroom. 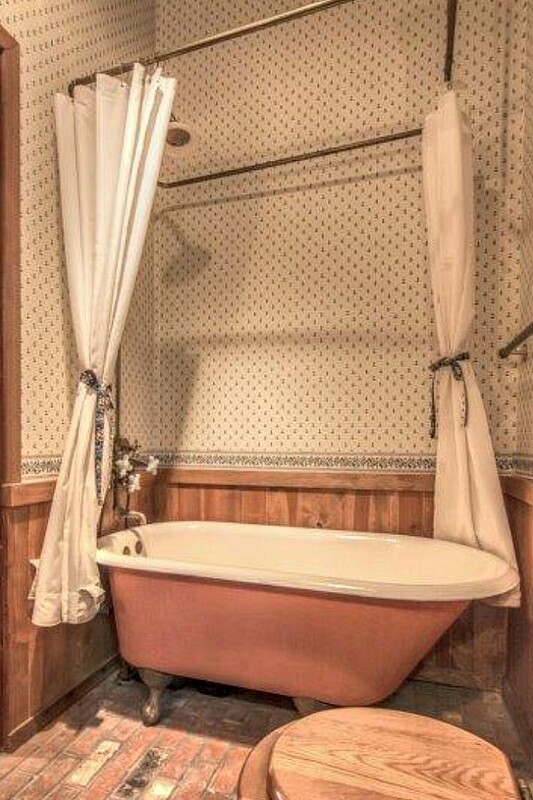 Talk to me before you replace the tub. ? ?